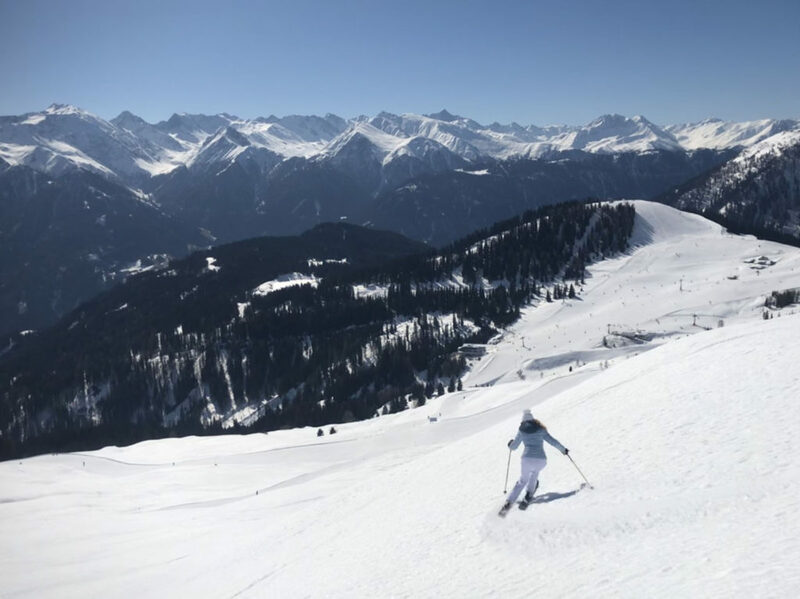 Serfaus Fiss Ladis is a large ski region in western Austria, and a wonderful ski destination for families with 460 acres of prepared trails and 68 lifts connecting the three alpine villages. 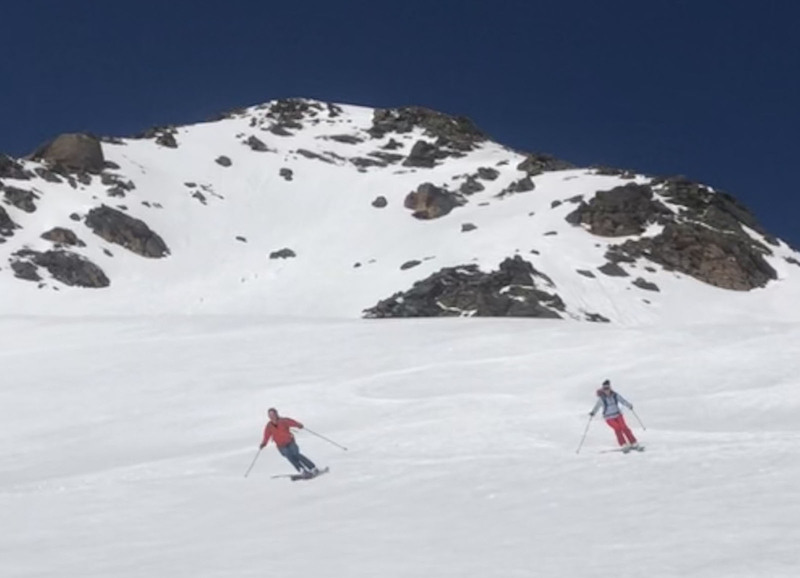 It’s beautiful, and relatively high elevation (1400-2800 meters, summit 9,278’) makes for guality snow in The Alps. 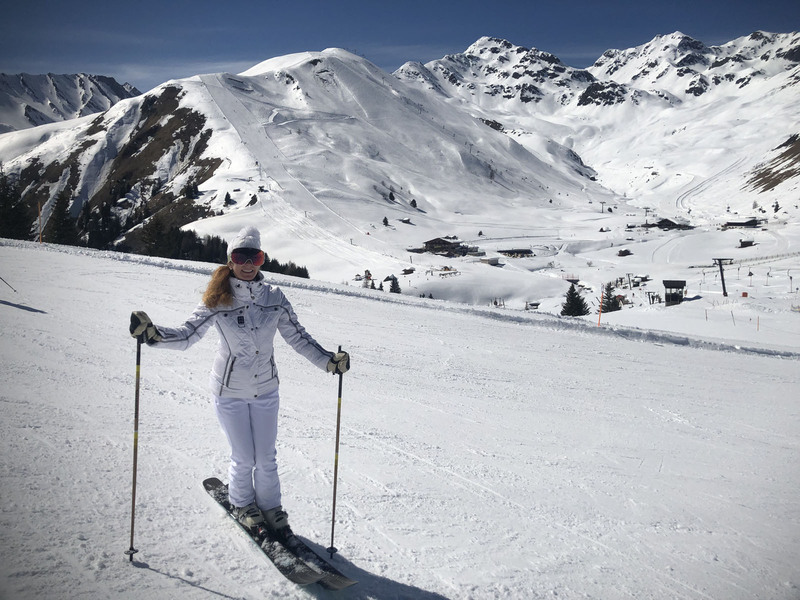 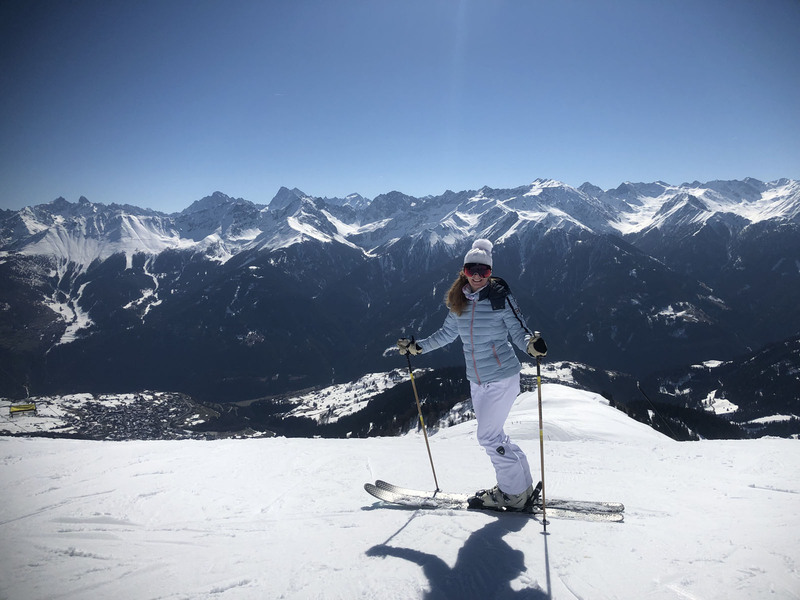 The skiing up on sunny high plateaus offers fantastic views to Germany, Switzerland and Italy, and of course the heart of the Austrian Alps. 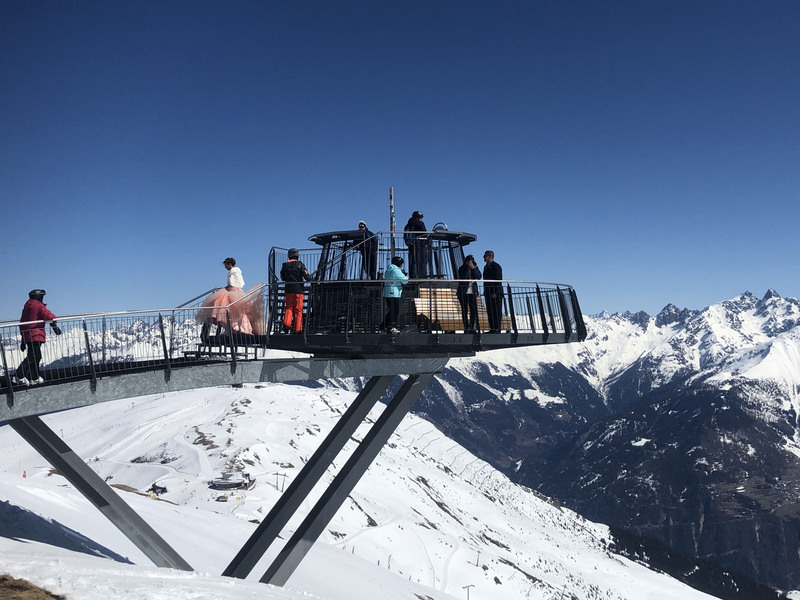 Serfaus is located in the Tyrol near other big ski resorts like The Arlberg ski region of St Anton, Stuben, Lech Zurs, and Ischgl, Galtür, See and Kappl. 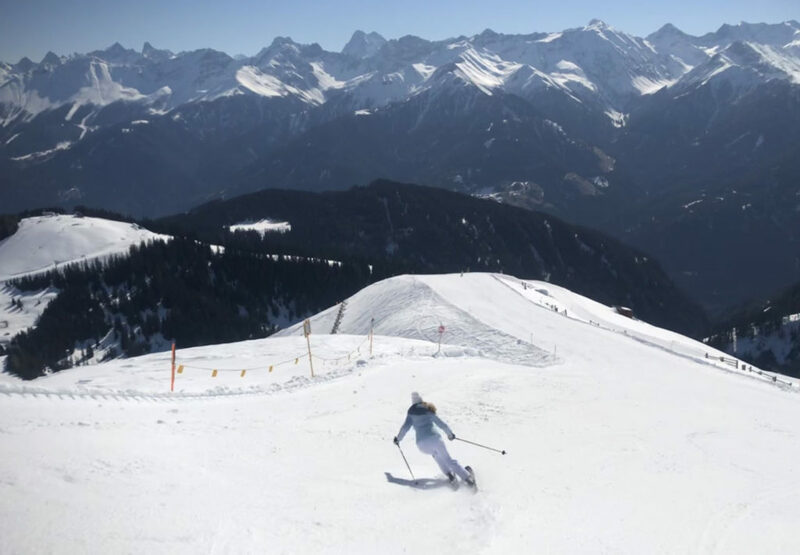 Serfaus’ best highest elevation skiing and most advanced is Masnerkopf on the far western edge of Serfaus. 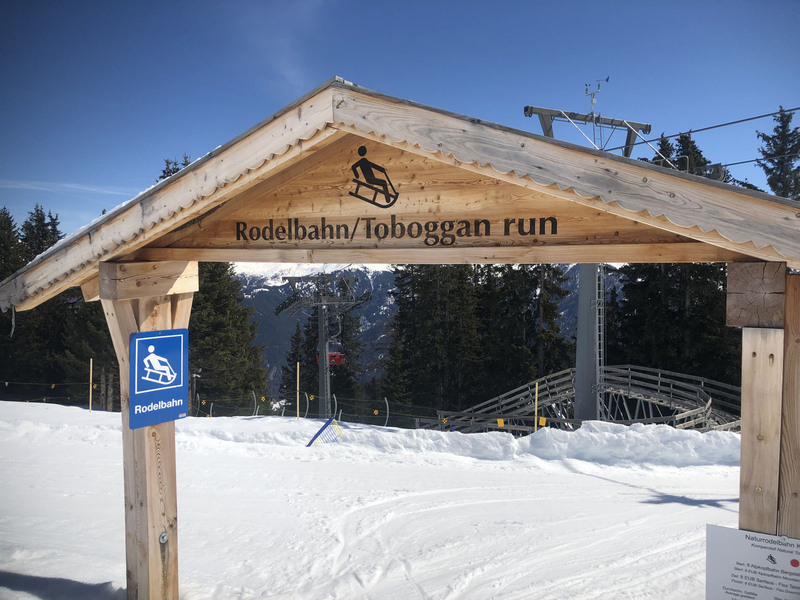 In the center of the ski region are a network of red and blue trails served by modern efficient, high capacity lifts, six to eight passenger chairs, and gondolas. 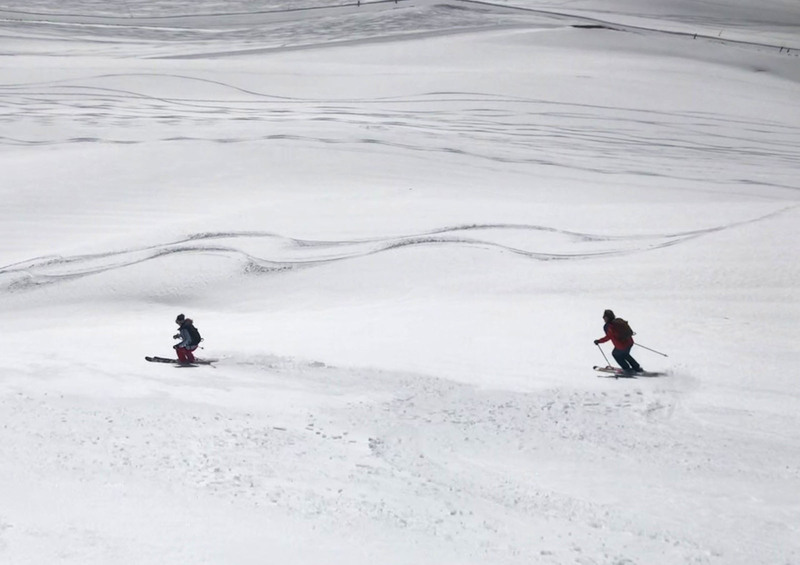 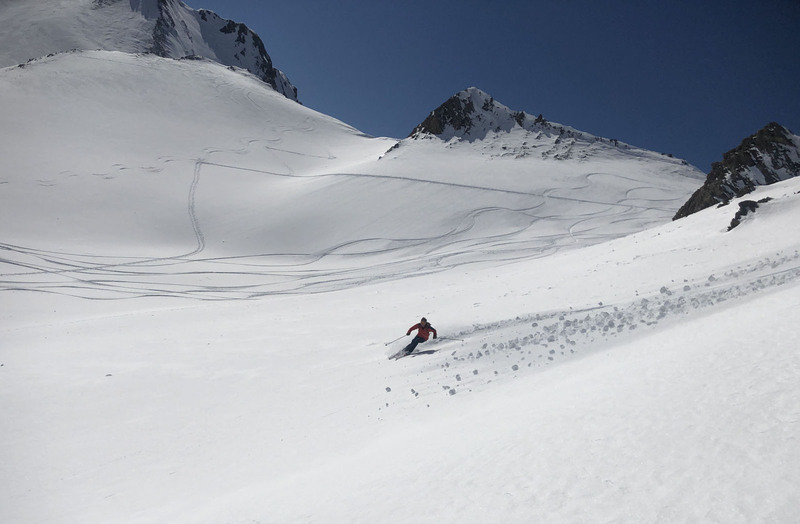 The terrain in Fiss is more north facing, offering quality snow. 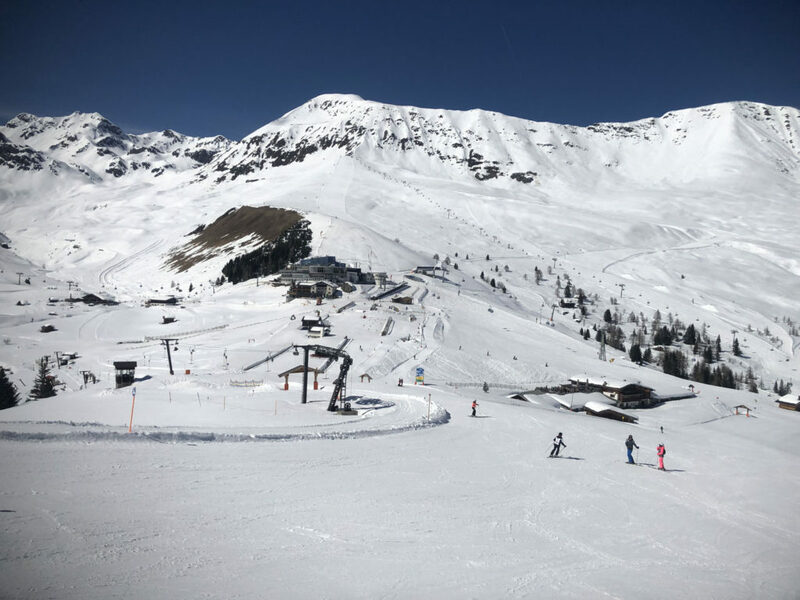 The Fiss area tends to be less busy than Serfaus. 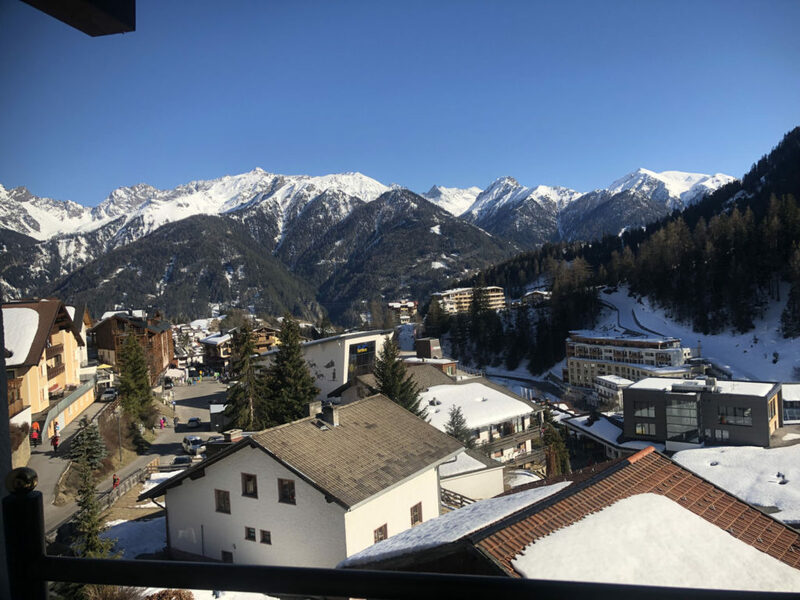 Ladis is the lowest in elevation of the three alpine villages offering a quiet alpine setting they market themselves as “the romantic” place to stay. 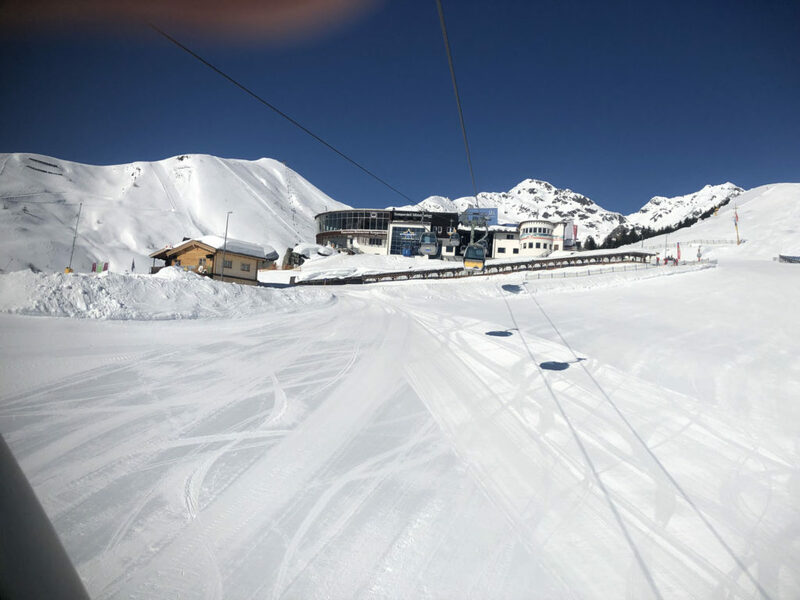 What’s fun about skiing around Serfaus Fiss Ladis is how animated the ski resort is, In addition to vast big mountain skiing the resort offers a plethora of beautiful on mountain chalets and restaurants, kid snow parks, fun zones and animated trails, and non-ski activities like a hang glider ride, rodeling (sledding) runs day and night, zip lines, snow bikes, a mountain coaster and more. 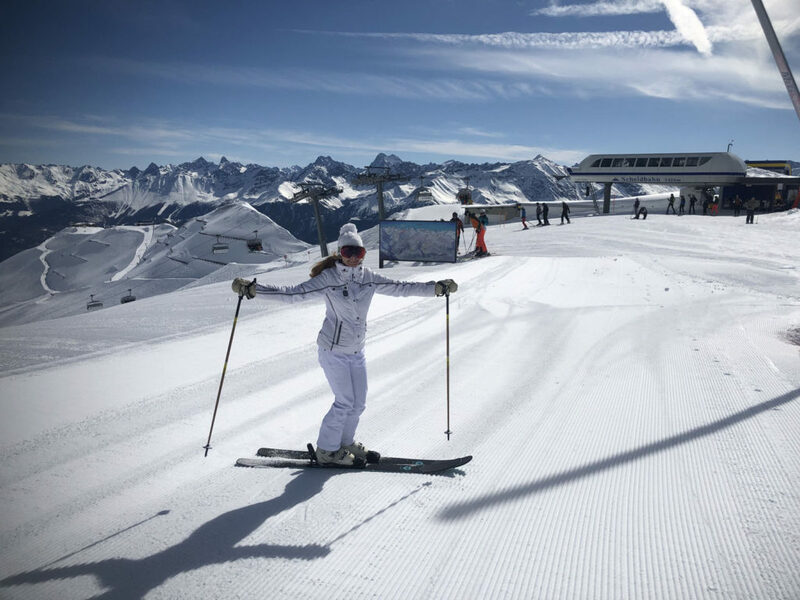 Serfaus is like the Disney world of skiing with so many alpine amusements and attractions. 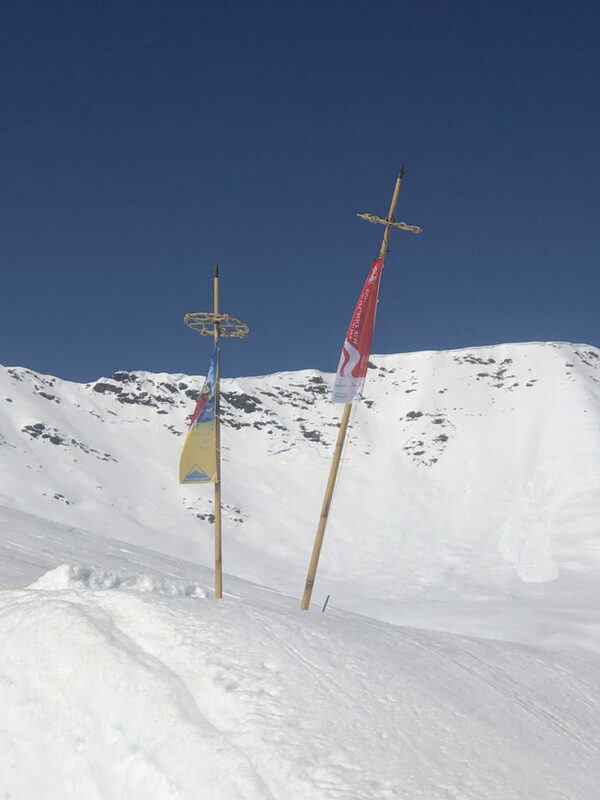 With a motto of “we are family” Serfaus Fiss Ladis really emphasizes the family ski experience. 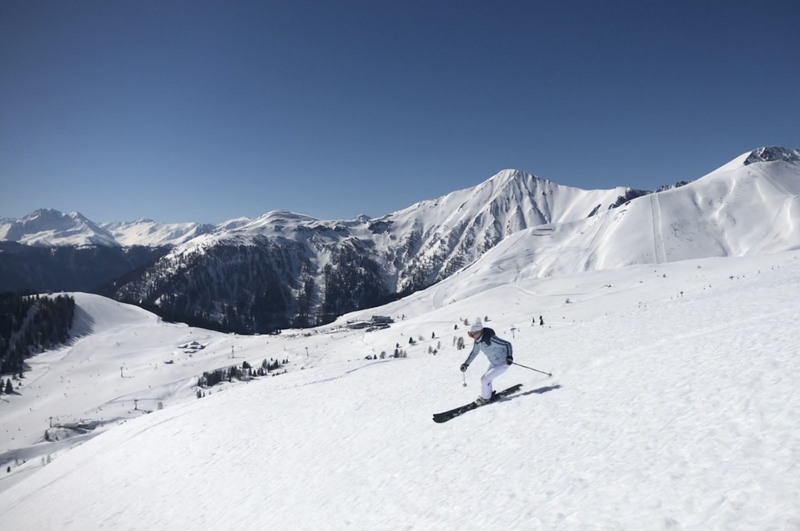 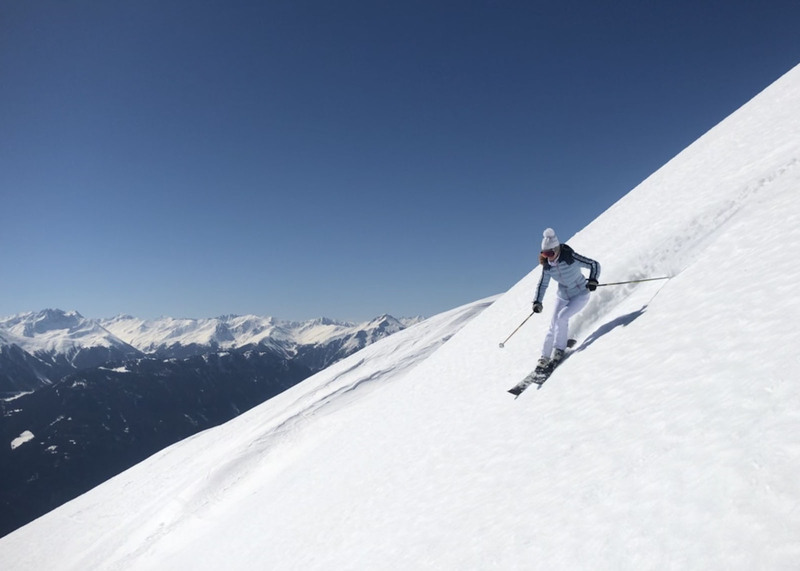 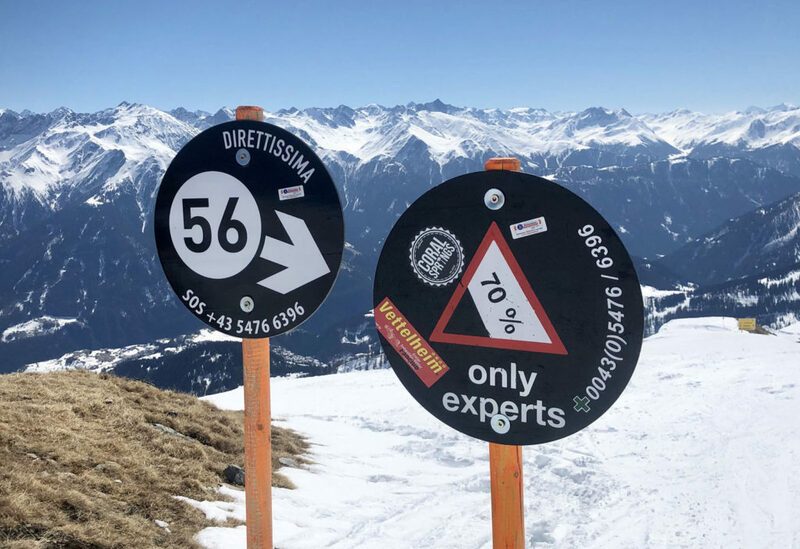 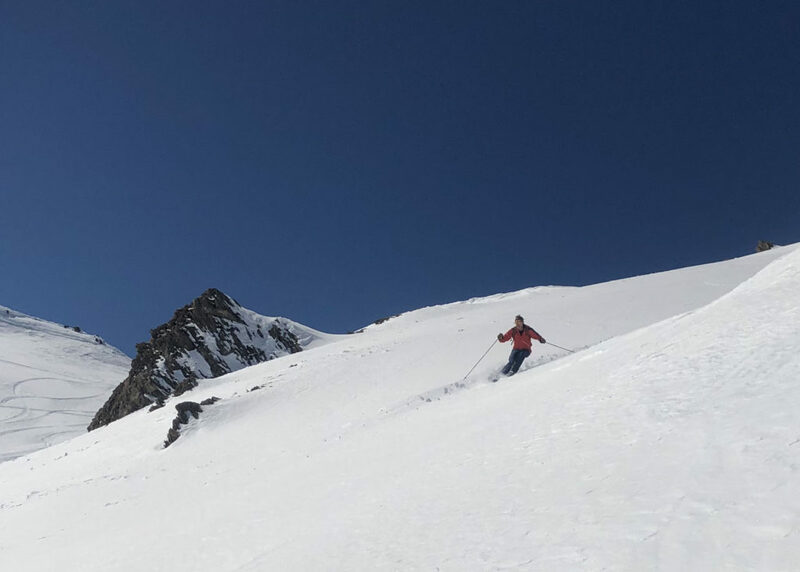 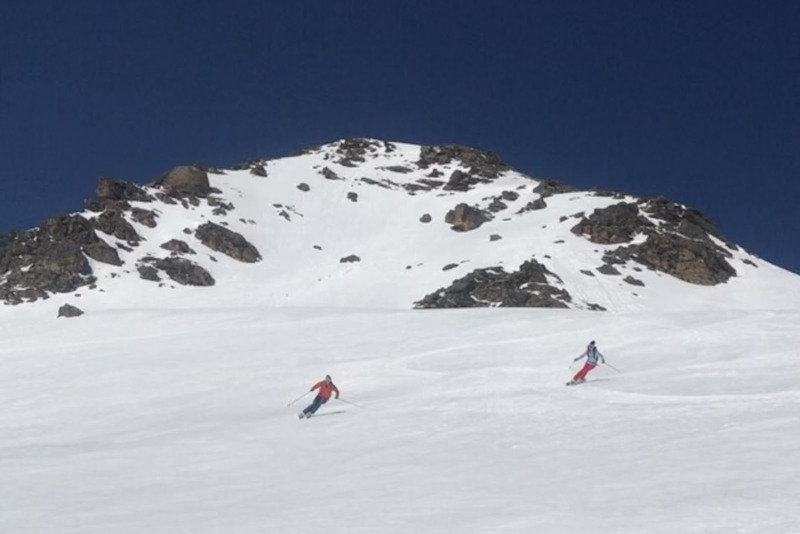 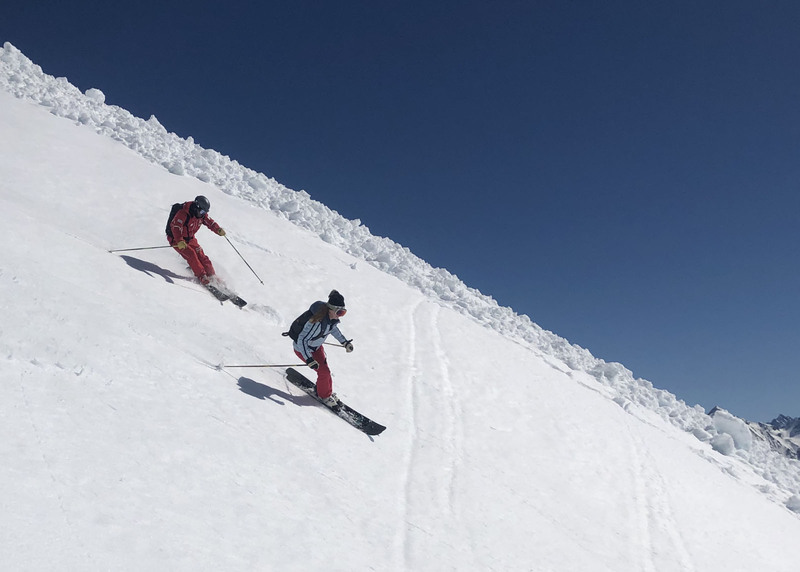 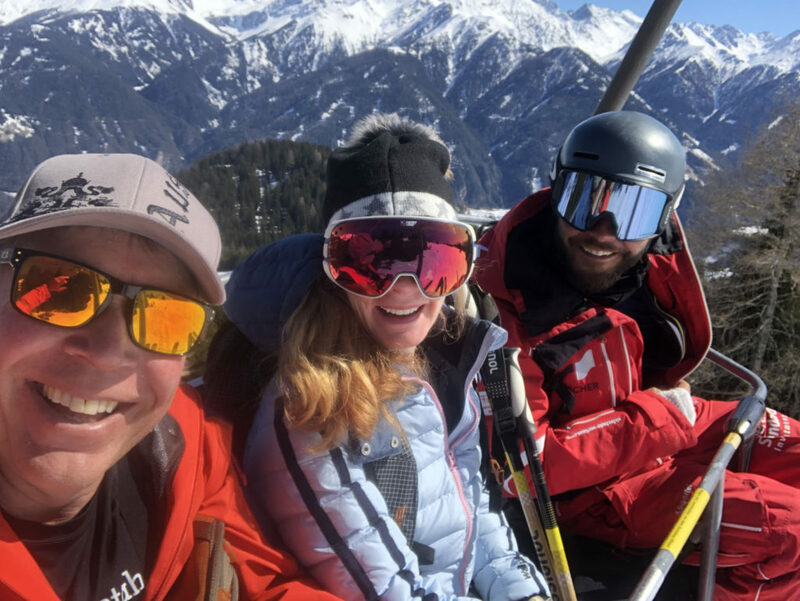 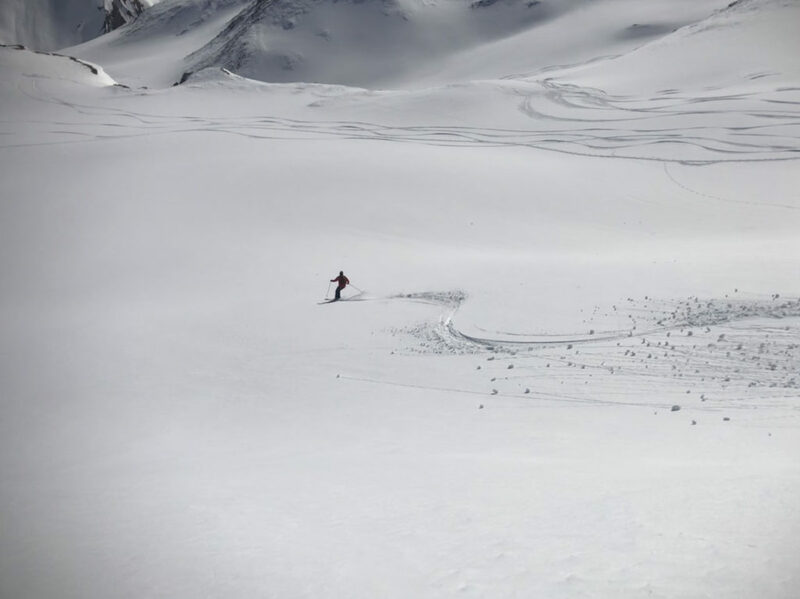 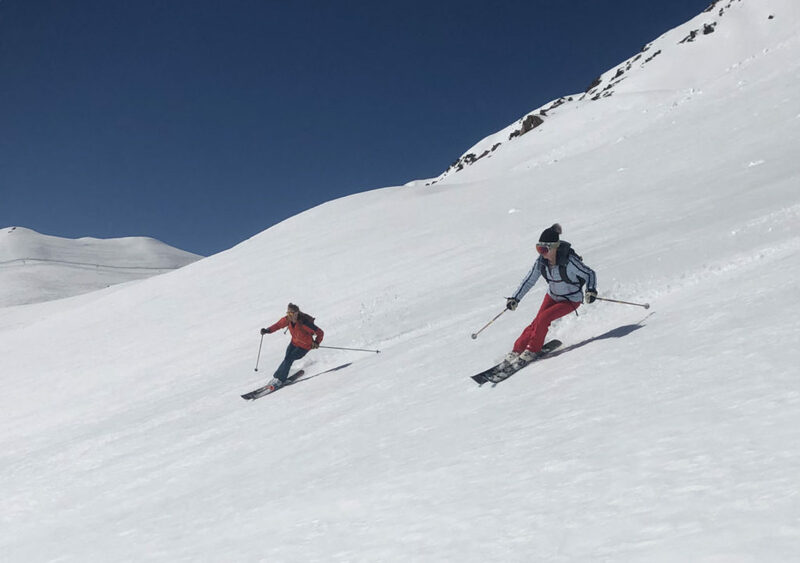 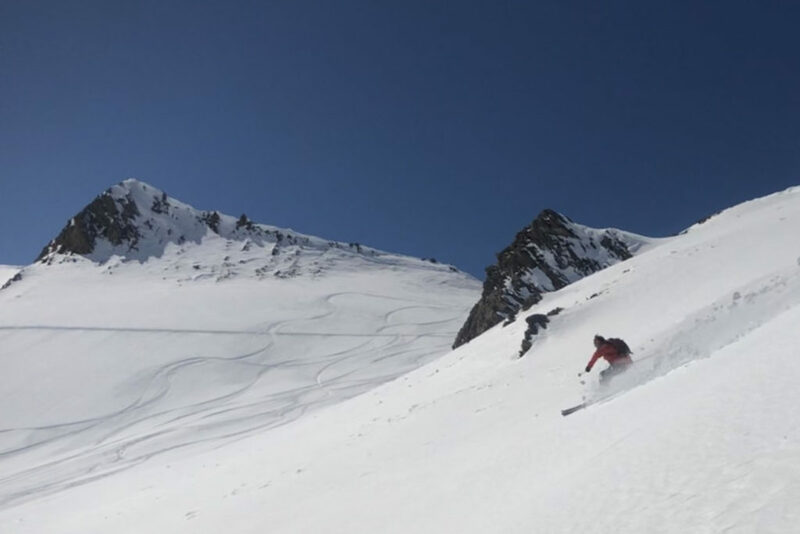 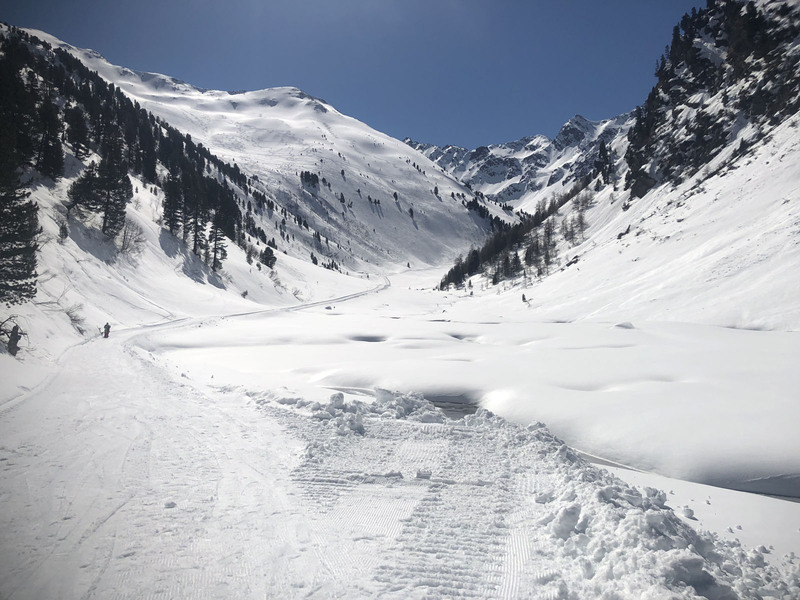 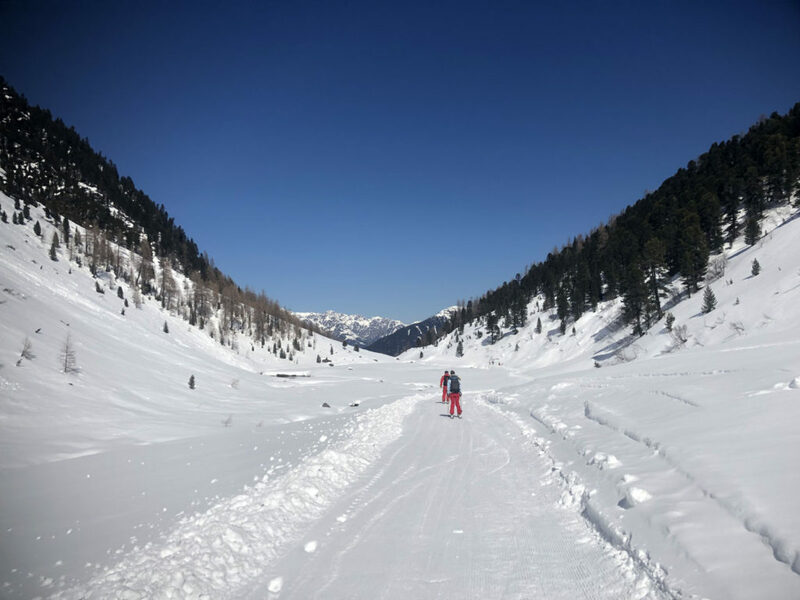 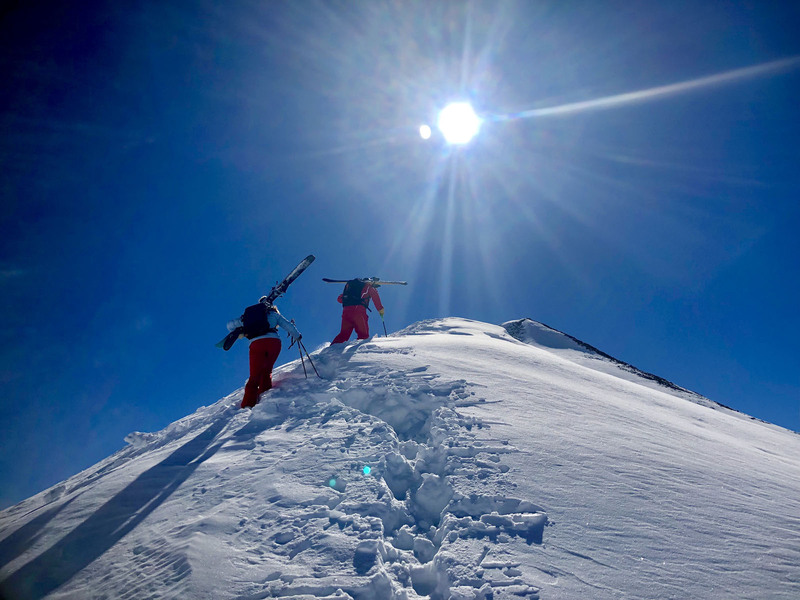 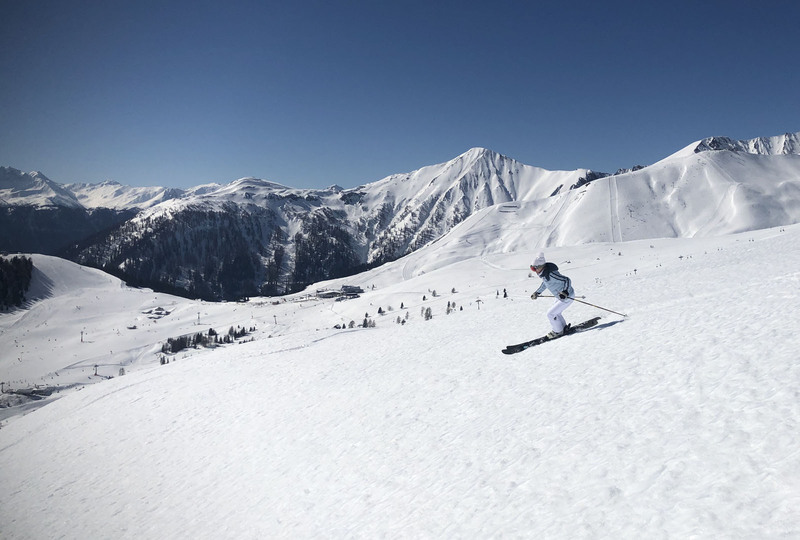 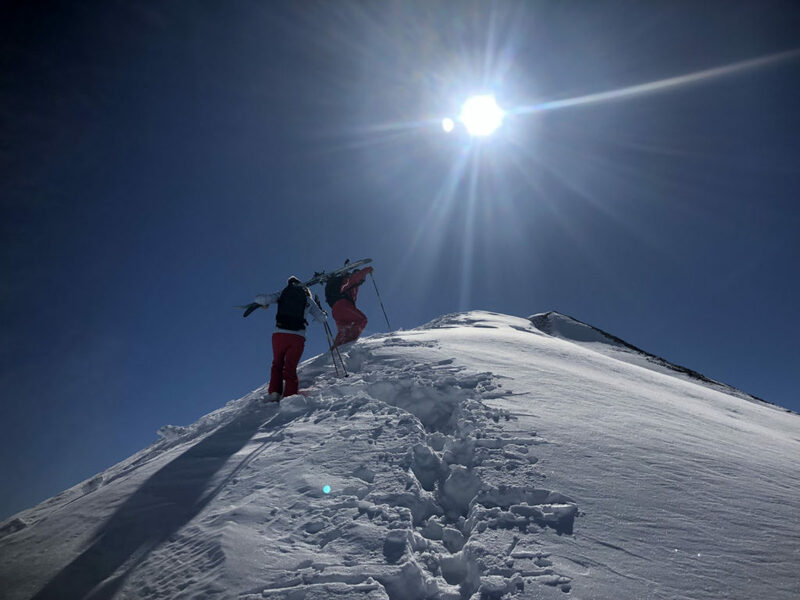 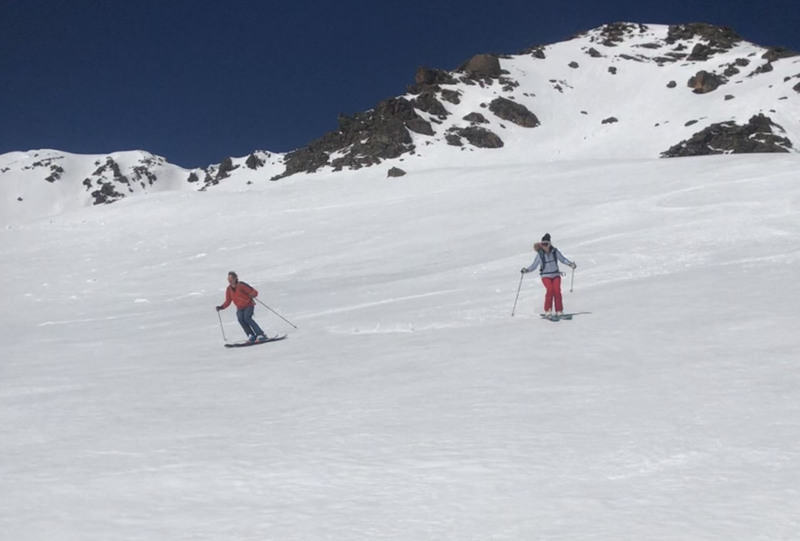 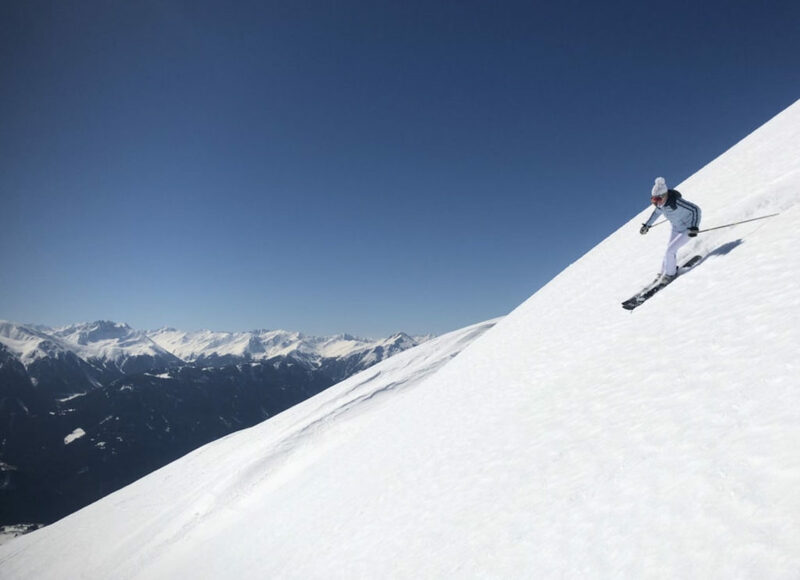 For free skiers and riders, there is so much to explore and plenty of extreme off-piste skiing to venture to with a guide from the Ski School. With our guide Sebastian we explored big wide-open bowls and exciting long descents all over the resort, escaping form the busier trails for true alpine adventure. 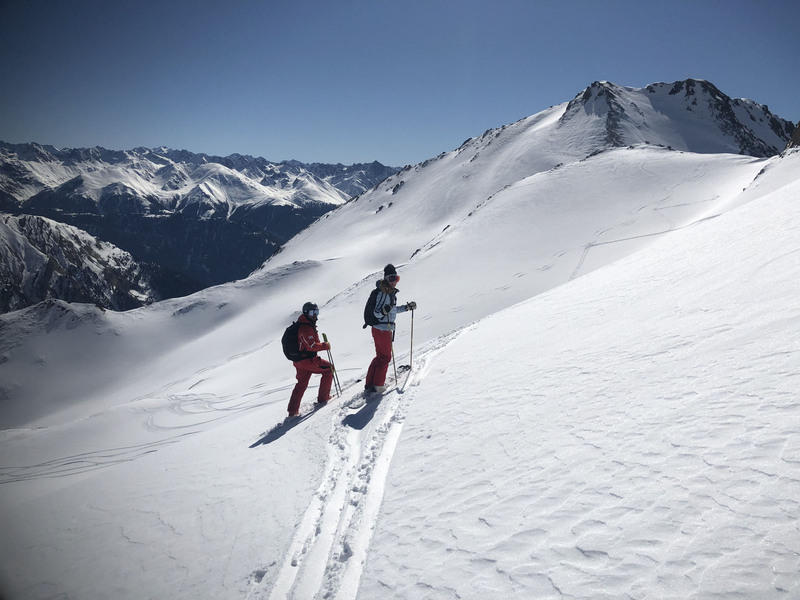 The terrain we discovered with our guide was akin to heli skiing or cat skiing at a fraction of the cost, with the benefit of being at a ski resort for chalet lunch. 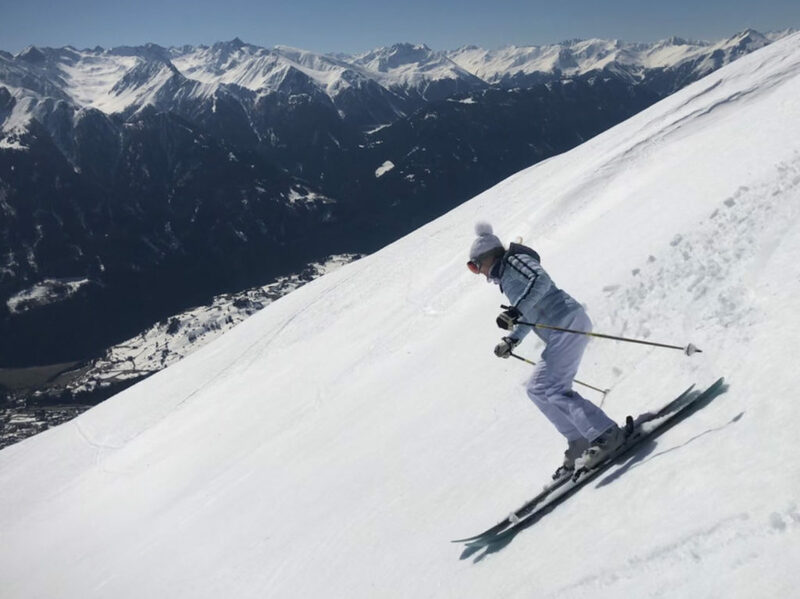 The Serfaus Fiss ski school is huge, offering kinder (children) programs, lessons, and guides. 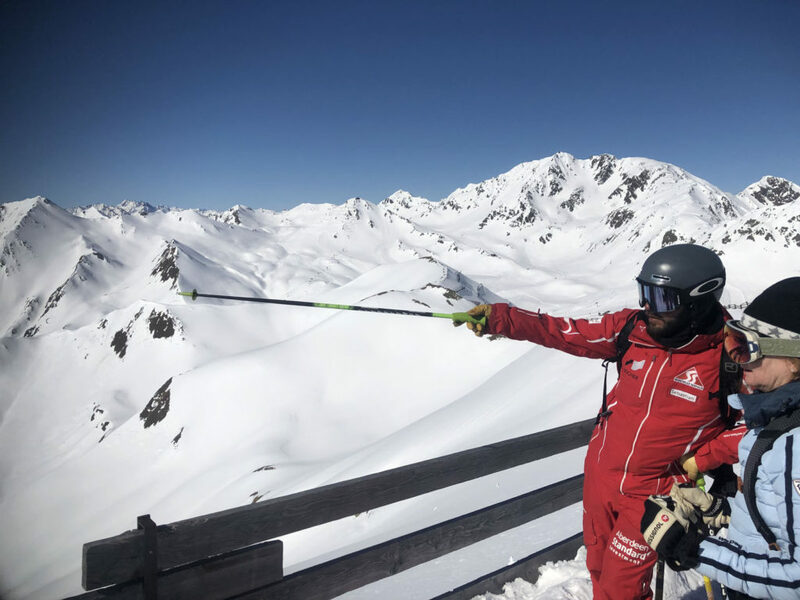 Their innovative learn to ski Snow V program promotes they can quickly teach anyone to ski, in many languages. 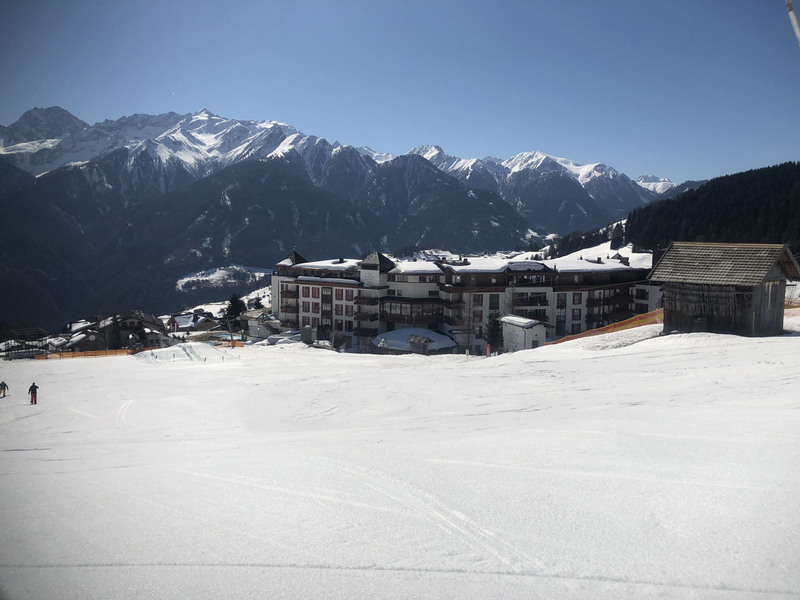 Austria’s primary language is German, but instructors and most resort staff here speak English to cater to the British clientele and signage is multilingual. 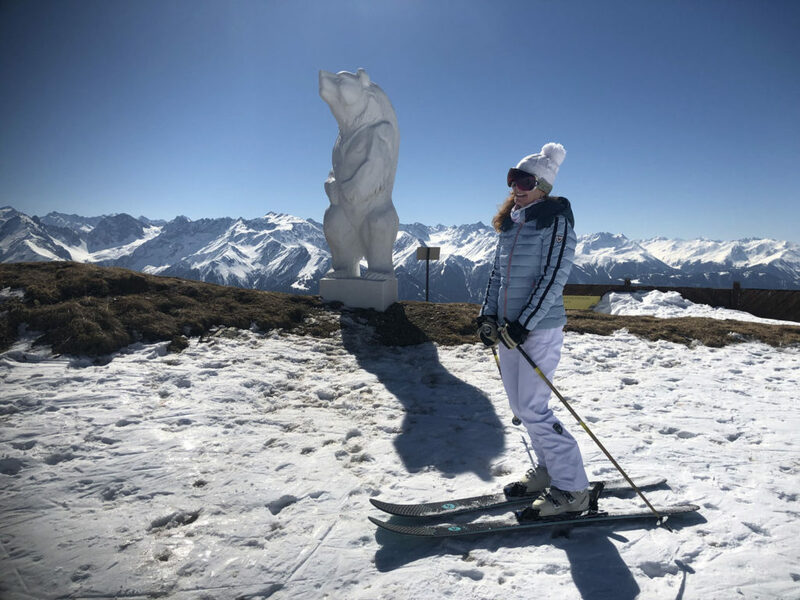 Kids will love Serfaus Fiss Ladis for the terrain parks all over the mountains, and the mascots Berta the cow and Murmli (a marmot I believe) well characterized around the mountain and villages. 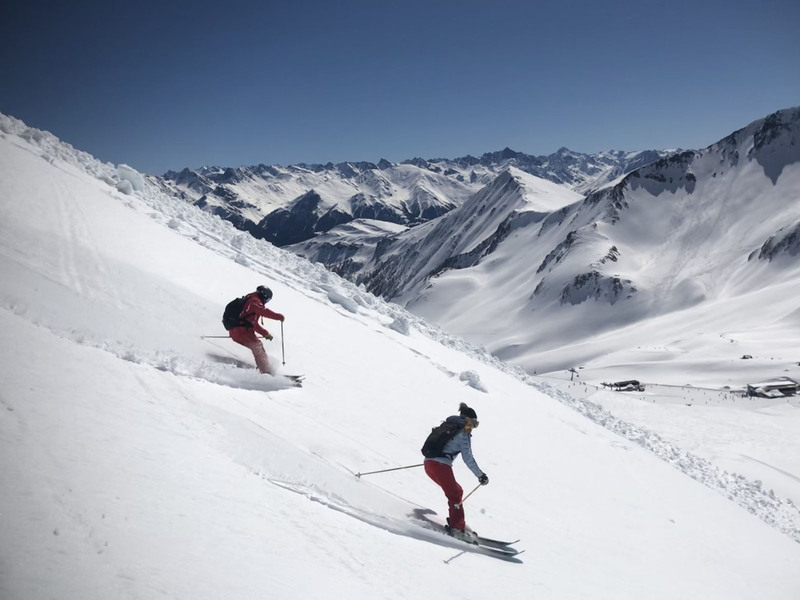 Vacation packages for families include free skiing for kids, and their Young Family Ticket allows each parent to ski on the same ticket, while the other stays with the child. 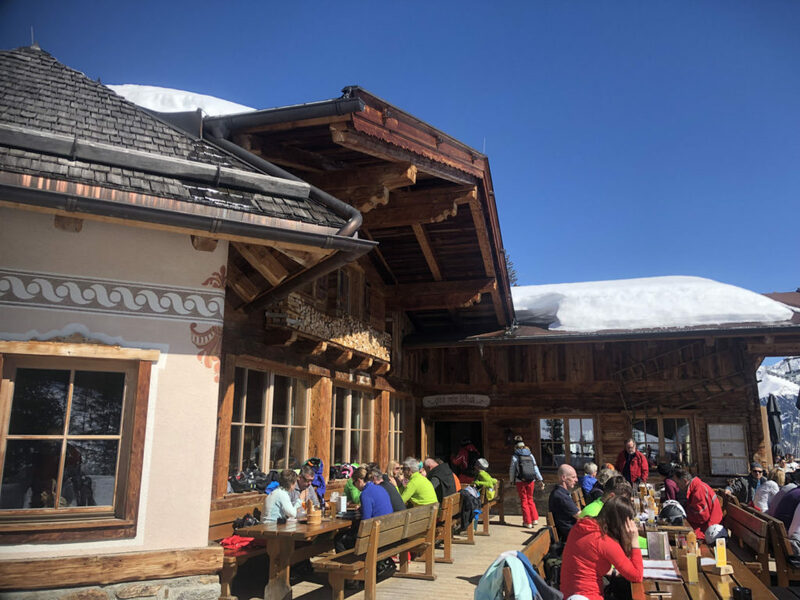 With 25 on mountains huts and chalets, it’s hard to choose where to dine for lunch. We dined at See Alm in Serfaus and loved the panorama from this beautiful lodge on a lake, sitting just inside by the terrace doors for fresh air, views and not to much sun. 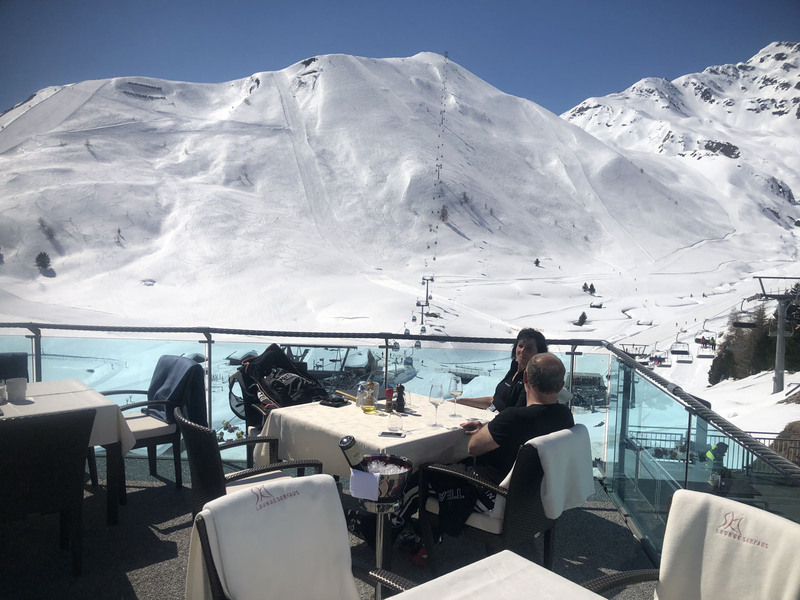 The salads, soups and Cordon Bleu were excellent. 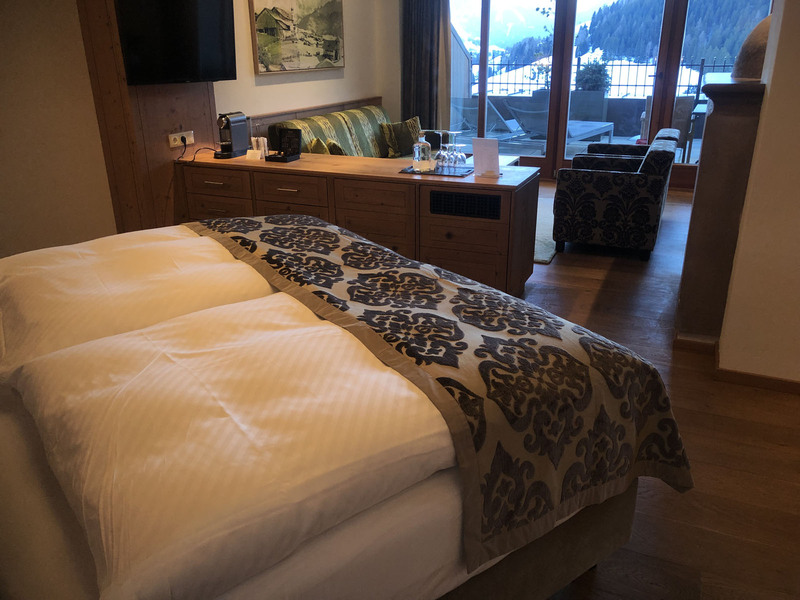 We also loved Leithe Wert on ski run 90, for its gorgeous wood chalet interior. 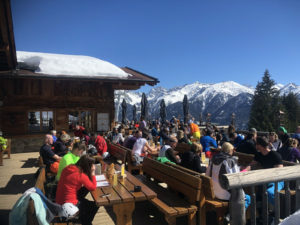 Their Ski Hut Pan of Rösti, cheese and bacon was recommended and did not disappoint – decadent and delicious. 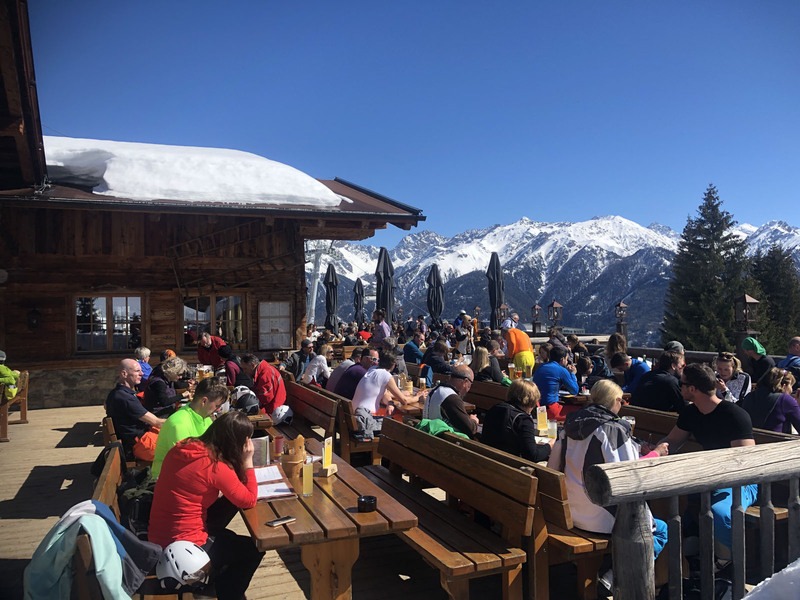 The outside terrace offers great people watching as skiers and sledders descend the slopes toward Serfaus village. 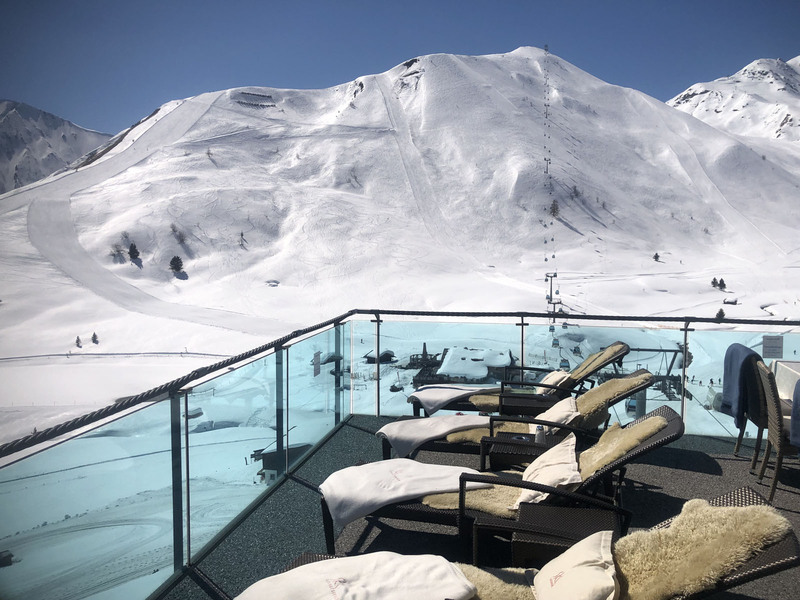 Ski Lounge at Serfaus offers chic ski-to dining, a very cool upstairs glass walled lounge or you can sit out on the panoramic terrace. 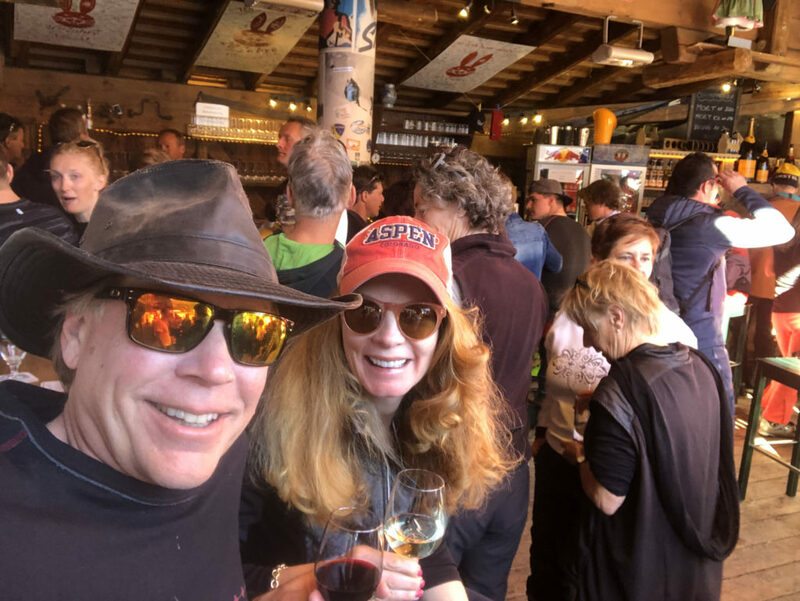 The wine list is amazing, the food is fabulous, ore gourmet than most chalets. 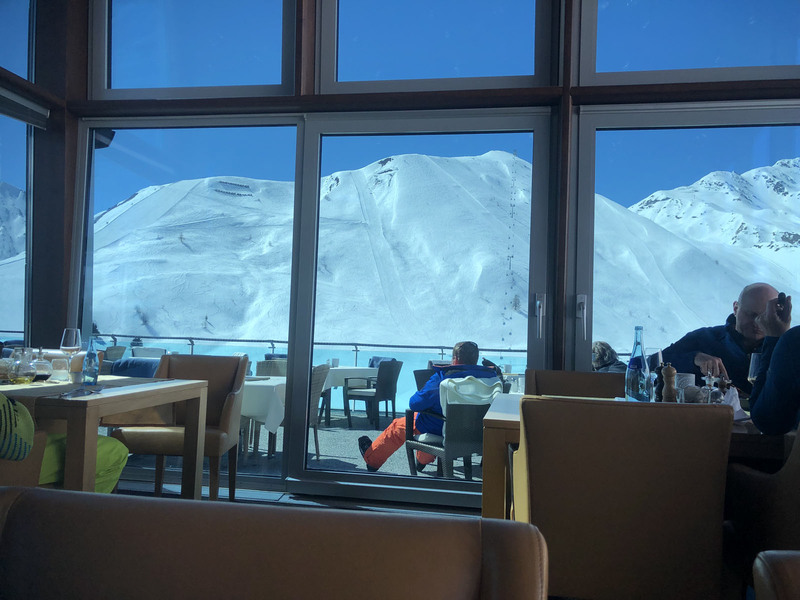 You can even shed your ski boots in the lounge for a truly leisure lunch on the mountain. 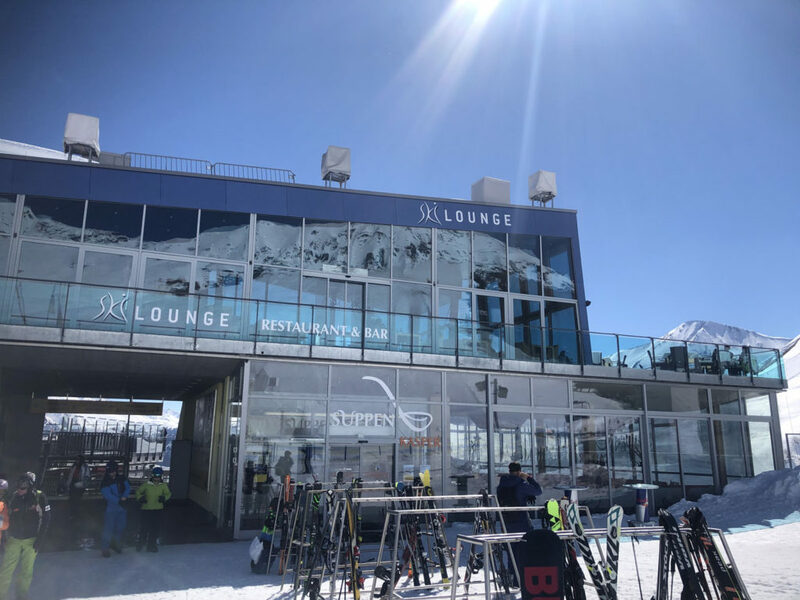 Outside on the ski slope level here is a rockin’ umbrella bar to go more casual. 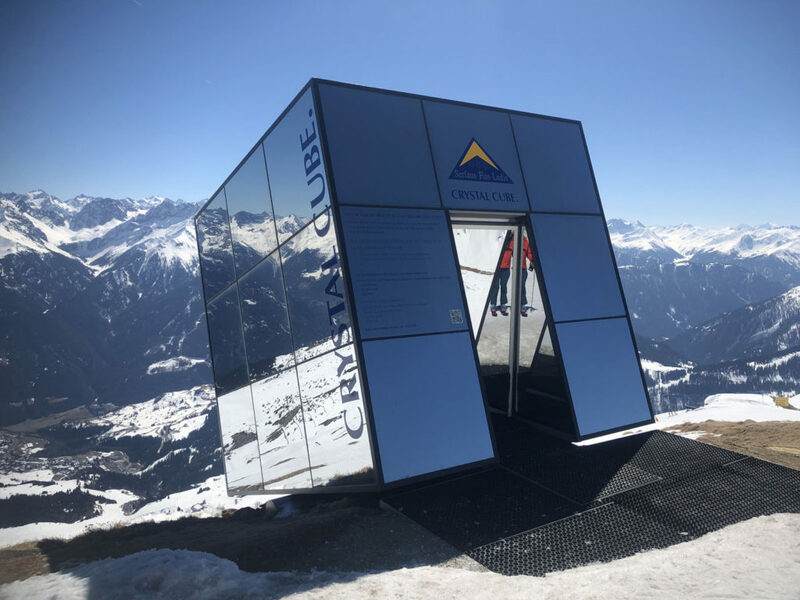 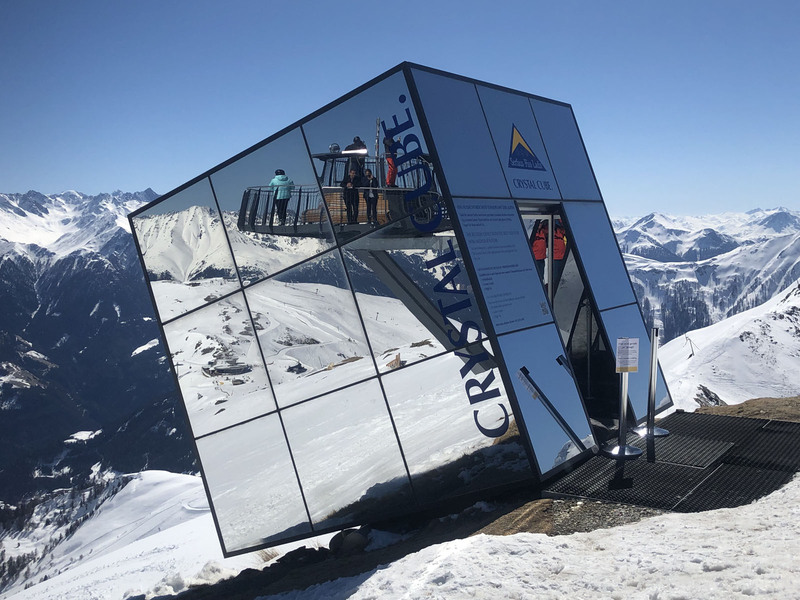 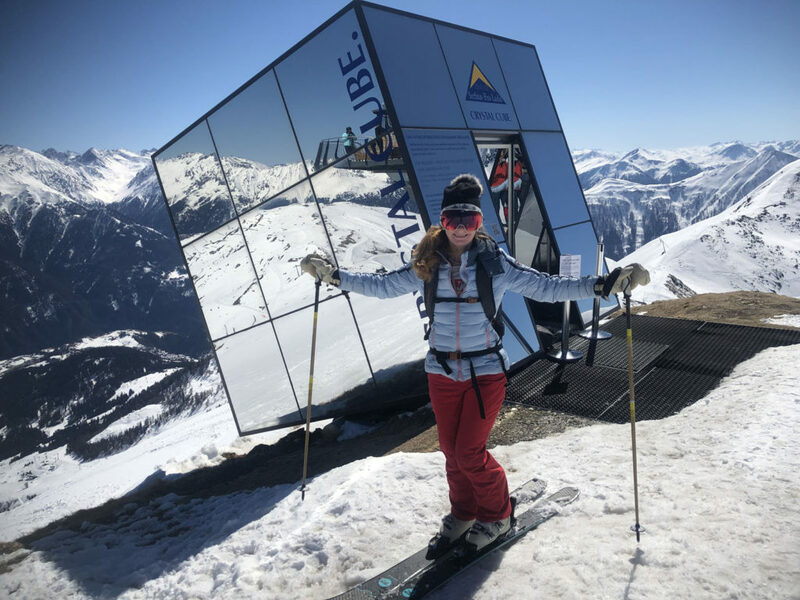 On the Fiss side, the Crystal Cube is an interesting sight to behold, a very modern mirrored box sits atop the peak, it holds 8 guests for a private dining experience – you can see out to the Alps but no one can see in. 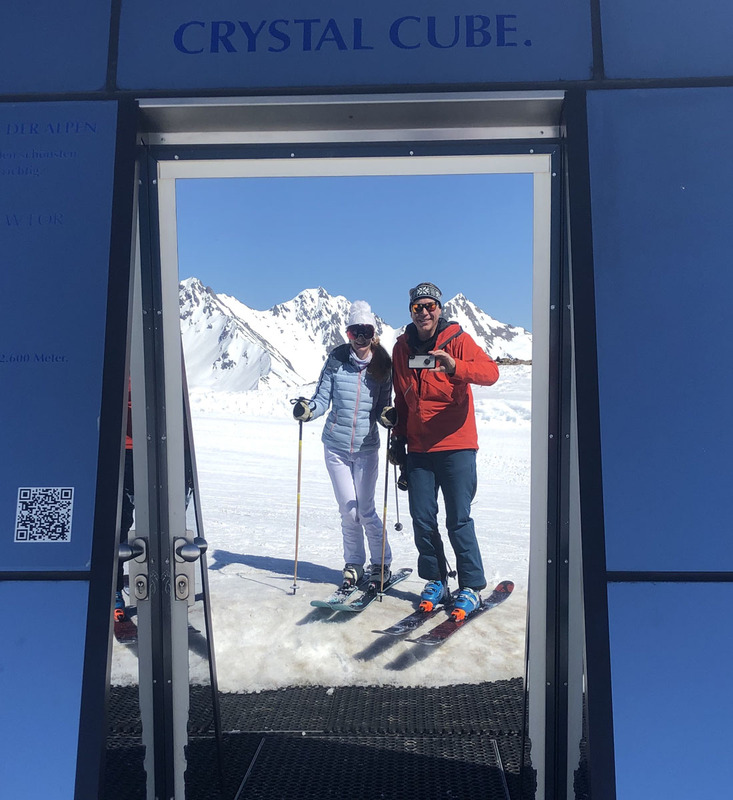 A small wedding occupied the chic cube on our ski day, the bride wore ski boots.Fiss is one of the highest spots in the Alps to officiate vows at 2596 meters. 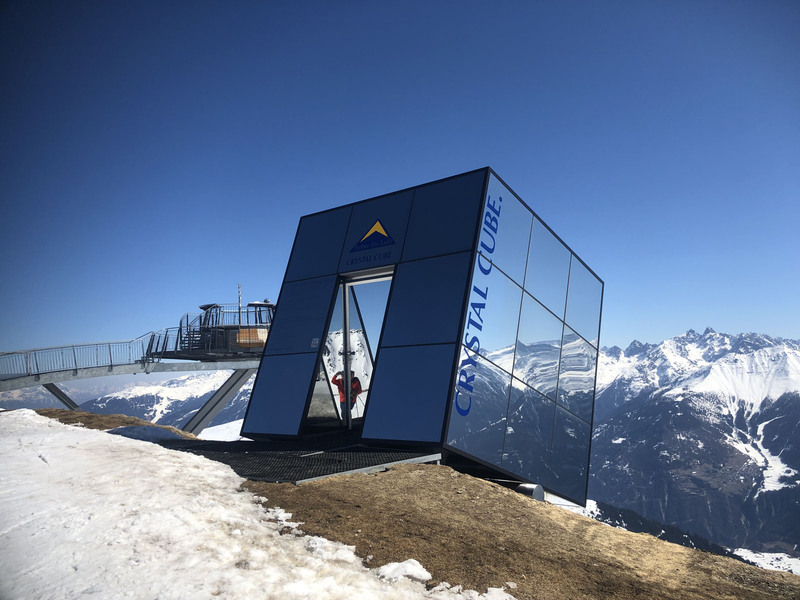 There is a large viewing platform adjacent to the cube. 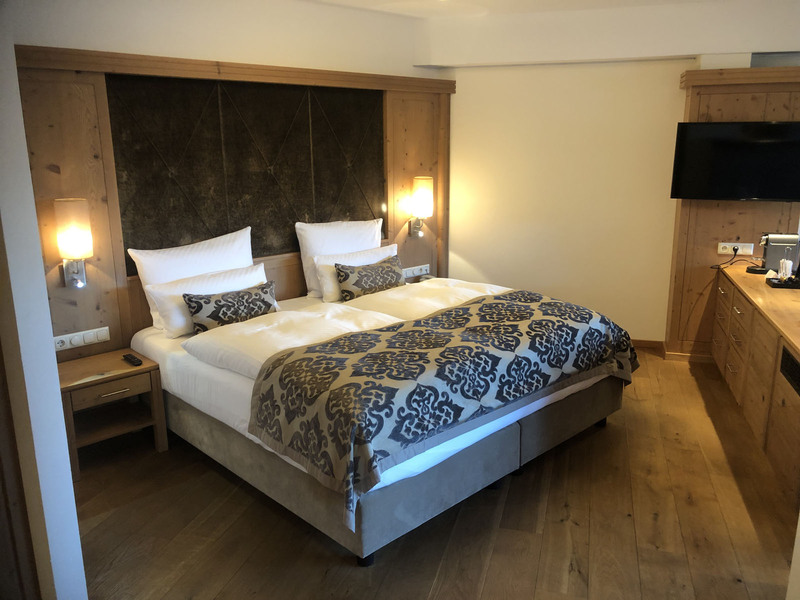 The Schlosshotel Fiss is THE place to stay for first class ski holiday, the big place in the 600-year authentic alpine village. 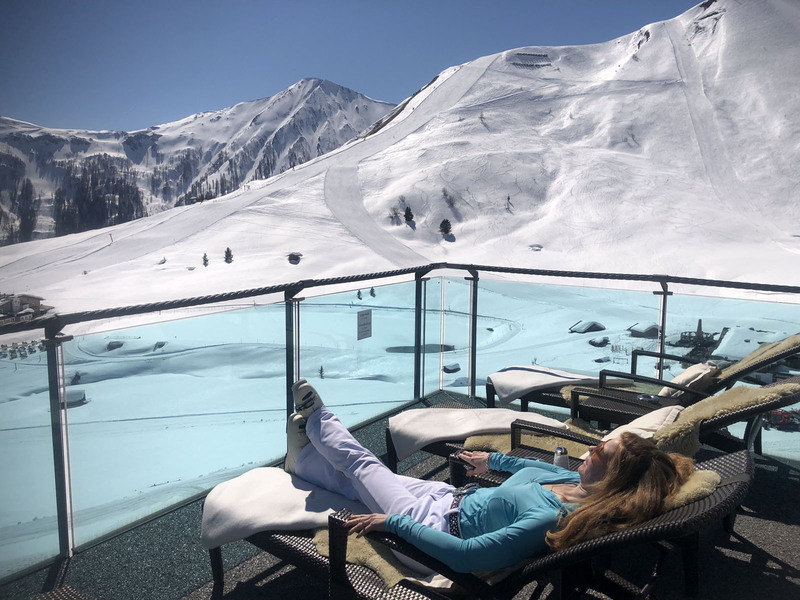 This five star slope-side castle hotel is immense and posh, like a luxury cruise ship only on the slopes, with a gorgeous huge spa offering indoor & outdoor pool and hot tub. Schlosshotel Fiss also has an elegant bar and lounge, and a stately dining room with gourmet menu ever-changing, though your reserved table does not. 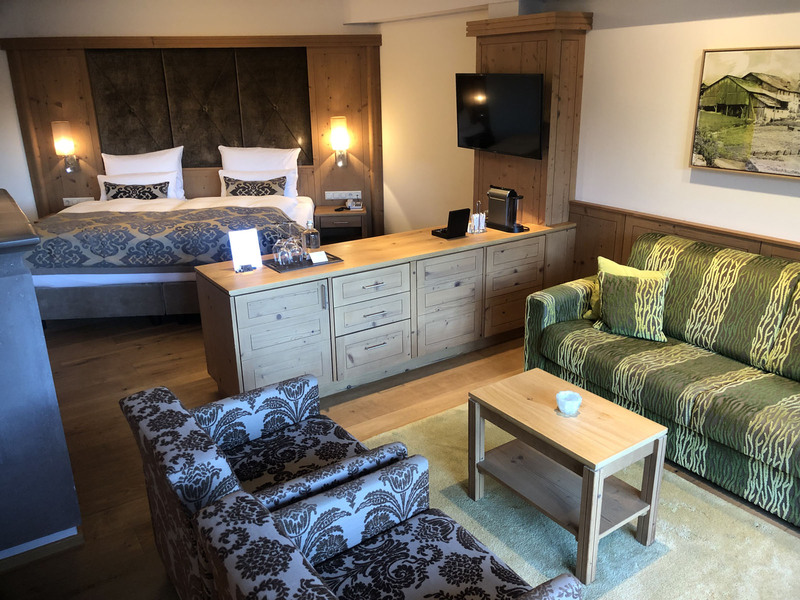 Our suite was gorgeous with a grand balcony, lovely bath and the fluffiest of down duvets on our grand bed. 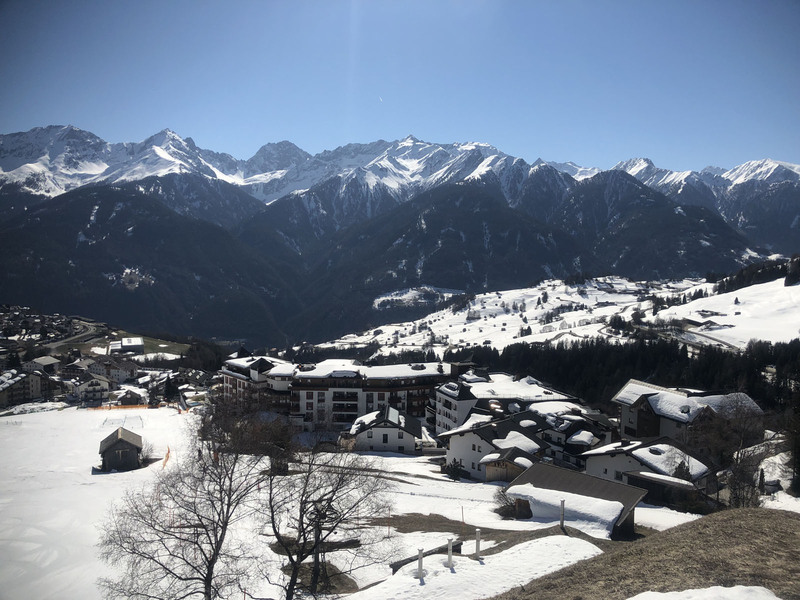 Serfaus is the biggest ski village of the three with over 7,000 beds, a fun pedestrian mountain village that’s very walkable with a few ski shops and markets and several restaurants, and top hotels like Serfaus Mountain Lodge. 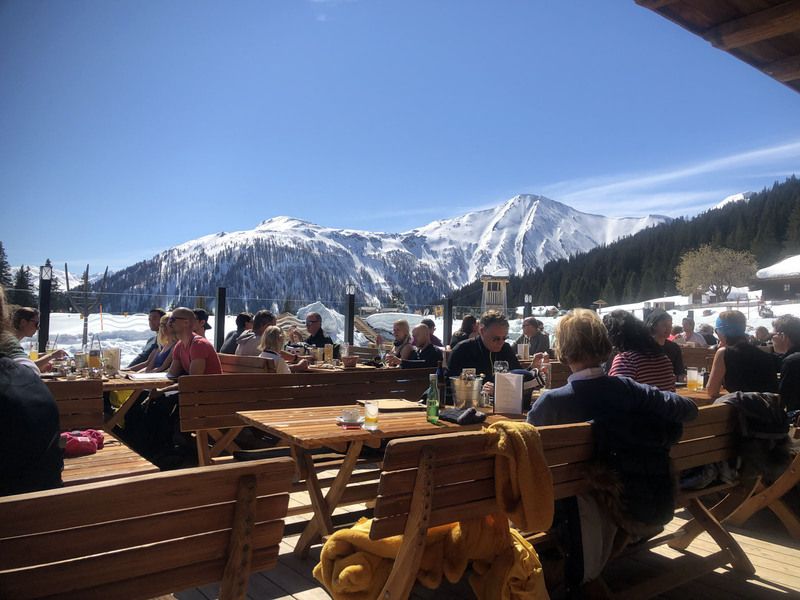 We enjoyed dining at Praemontan for its welcoming bar, great menu and view of the slopes and the lifts. 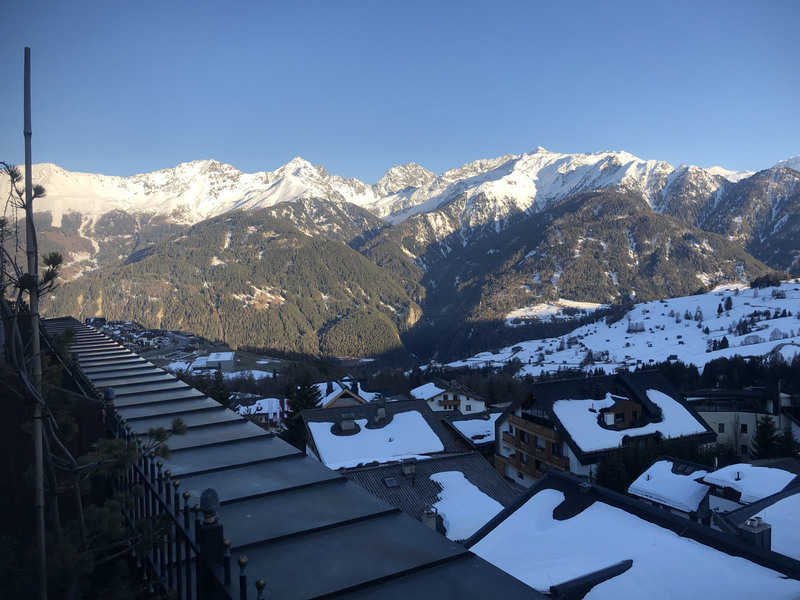 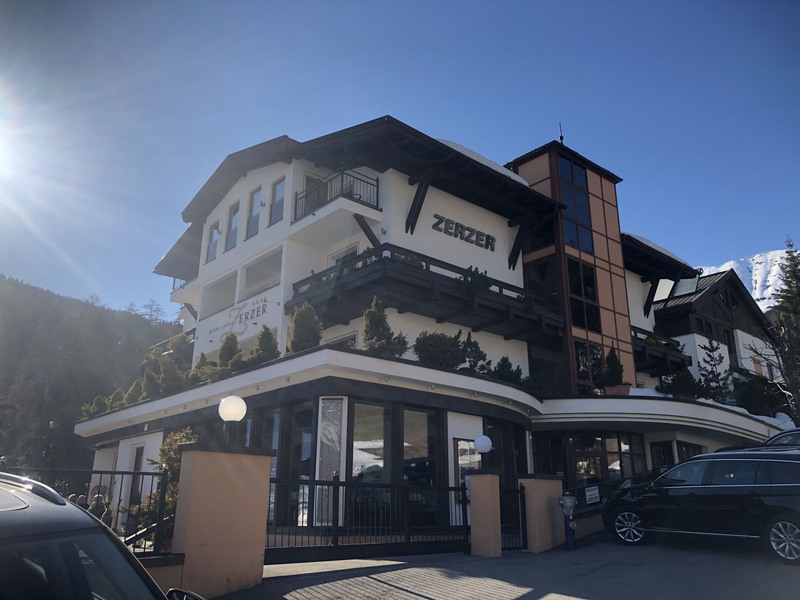 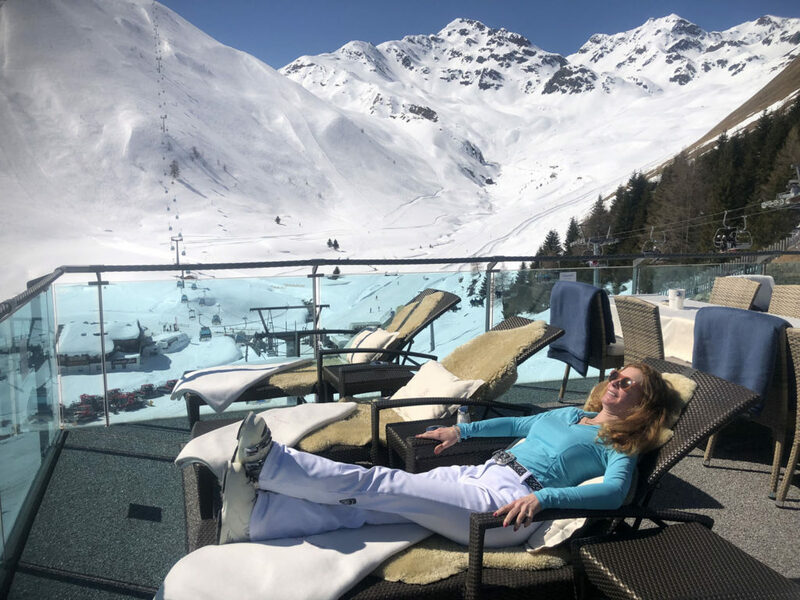 We stayed at Hotel Zerzer which was modest, affordable and had a prime location and view of the ski slopes, next to the best après ski bar in Serfaus – Patchi. 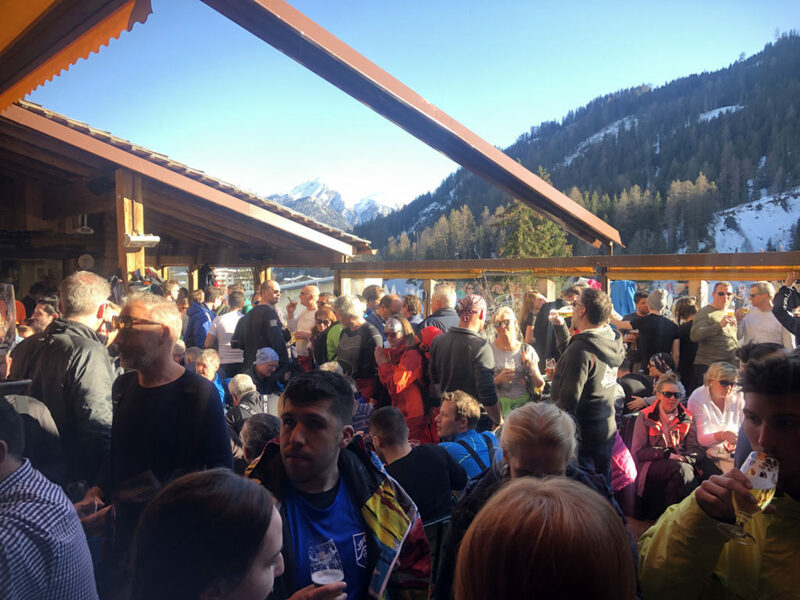 The Patschi bar is THE Place to be après ski, arriving on skis your last run. 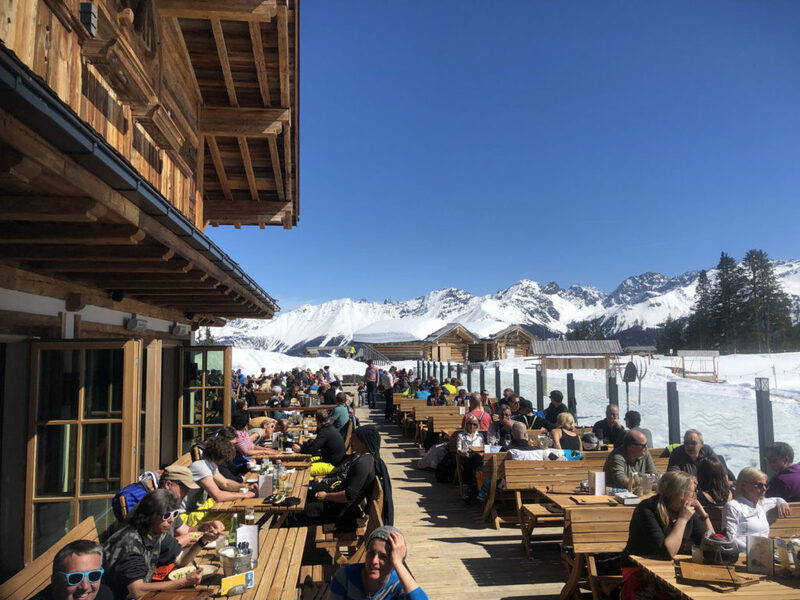 The grand wooden deck, with a retractable cover, and inside barn space pumps DJ music and skiers party most every afternoon. 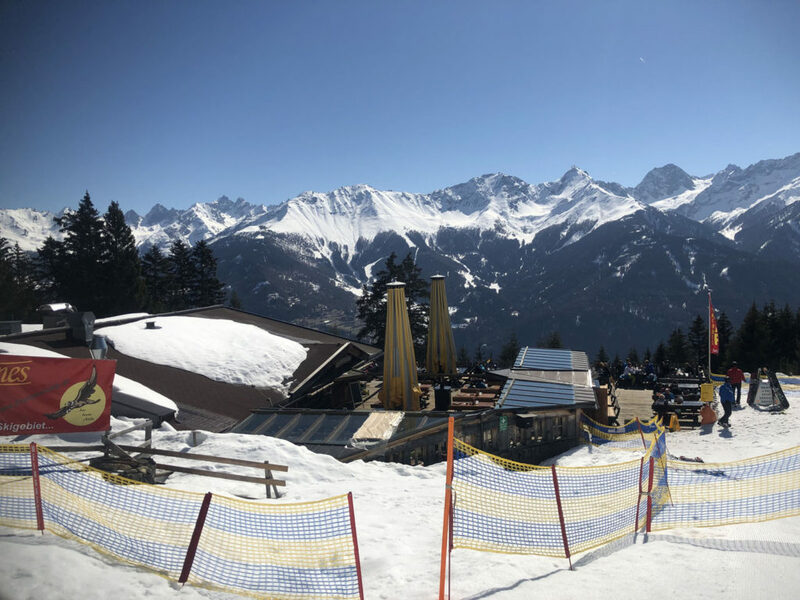 For family aprés ski, Murmli Park in Serfaus village center has games and characters to keep kids amused after skiing, as does the PLAY Serfaus indoor kids gym. 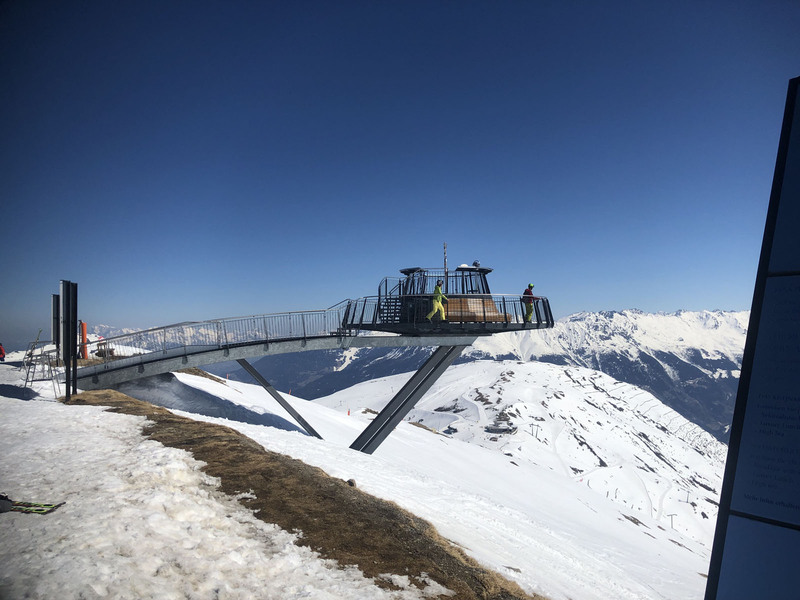 Serfaus is mostly car free, except for arriving hotel guests allowed to drive in, an underground train Dorfbahn delivers day skiers from satellite parking below the village. 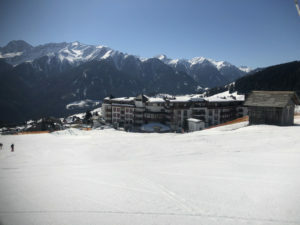 Ladis is the lowest elevation eastern terrain and smallest village, home of the historic Laudeck castle. 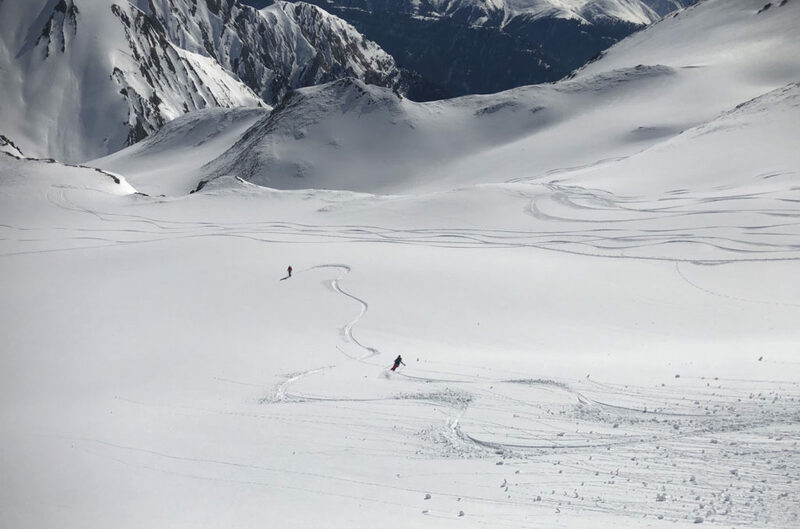 This area offers one long easy trail with a gondola to connect to Fiss. 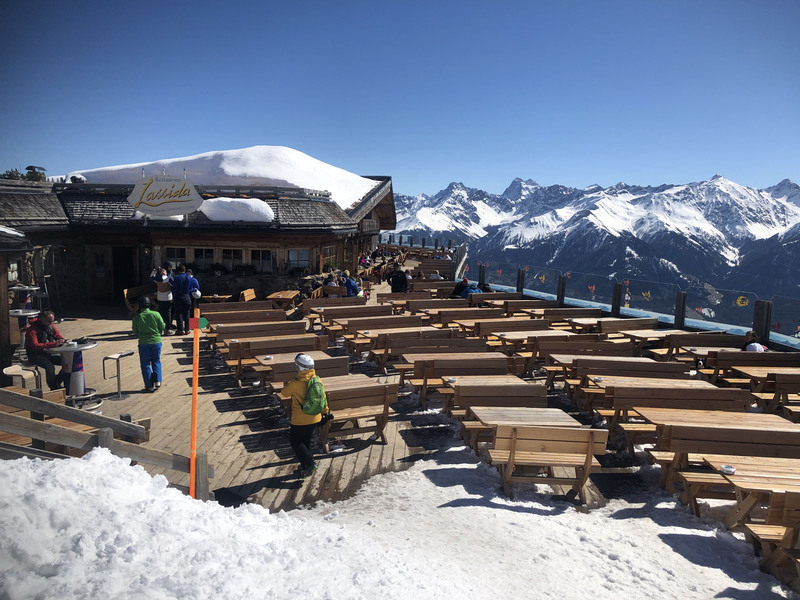 Serfaus Fiss Ladis is a great family ski destination for a week or as part of a ski safari also visiting nearby Ischgl, smaller ski areas in Paznaun like Galtür, See and Kappl, or The Arlberg skiing of St Anton, Stuben, Lech Zurs.